Spray 3- to 4-quart slow cooker with cooking spray. In large bowl, mix apples and cinnamon to coat. Place in slow cooker. In medium bowl, mix oats, brown sugar, flour and butter with pastry blender or fork until crumbly. Stir in pecans and toffee bits. Sprinkle crumb mixture evenly over apples. Cover; cook on Low heat setting 4 to 6 hours. 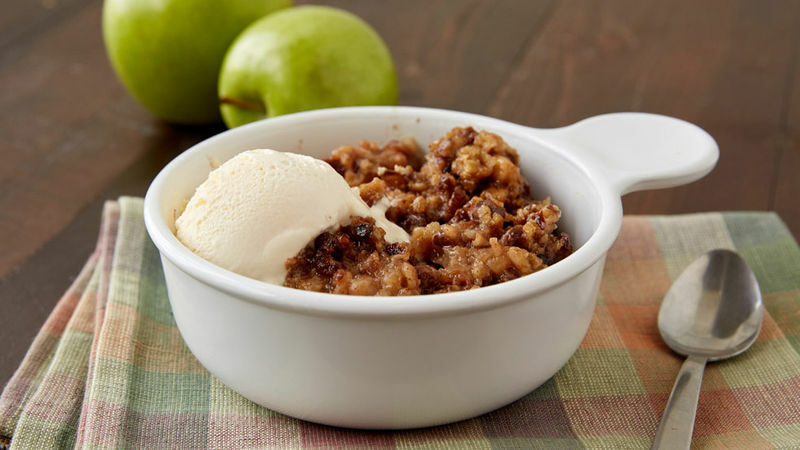 Serve apple crisp with ice cream. If you'd like the apple slices to retain their shape and have a slightly firm texture, use the low end of the cook time range.